Brighton Belts are made with the awareness that a gentleman's belt is intended to do more than just ensure his pants stay up. They are also meant to do double duty as a fashion accessory, complimenting whatever else a man is wearing at the time. When a pair of slacks has belt loops, it is traditional that they are paired with a belt. Pants without belt loops may be worn with suspenders (if they've not been tailored to a perfect fit), and may have side or rear adjusters. However, failing to wear a belt with a pair of trousers fitted with belt loops is to make an appreciable fashion faux pas. Nevertheless, it should be noted that no one belt suffices for all of the different attire the average man is called to wear. 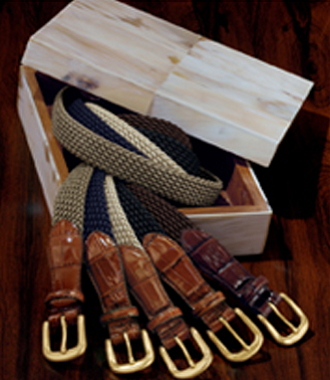 It is traditional for men to match the color of their belts to the color of their shoes. Thus, a man in a gray or black suit wearing black shoes will want to wear a black dress belt. A man in a camel or brown-toned suit will need brown shoes and require a brown dress belt. 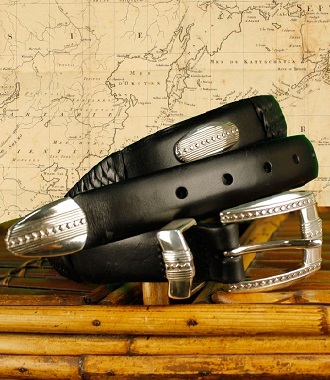 A dress belt, by the way, is a simple leather belt, on the slimmer side (from 1" to 1 1/4"), with a plain, unadorned buckle in either silver or gold. More informal attire is typically worn with a belt that is more casual in design and material. For example, a casual belt is one that is a bit wider and, perhaps, constructed from a more rustic style of leather, such as suede, woven from hemp, or even handcrafted using fabric. 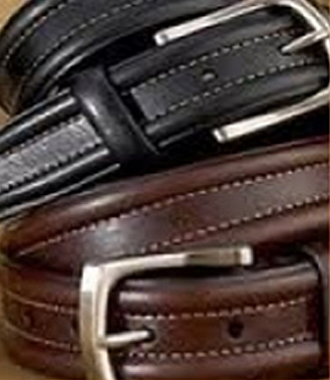 In addition to maintaining the positioning of a man's pants and reflecting his awareness of fashion etiquette, some men's belts serve a third function. They help them to keep up with things. Many men use their belts as a place to hang the things they routinely carry with them, such as their phones, pagers, and similar items. Some use their belts to secure weapons, such as a knife or gun holster, or specialized gear, such as a flashlight or water bottle. 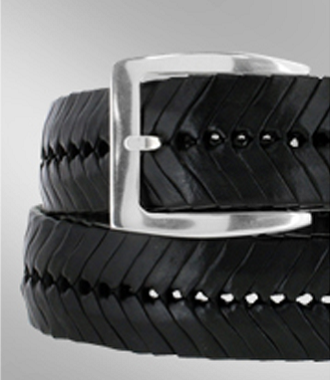 Regardless of whether one's belt is chosen for functionality or simply because it is attractive, a well-made belt designed with attention to detail is one that is sure to turn heads. Therefore, men in search of a good belt are advised to give thought to the durability and substance of the belt they choose. 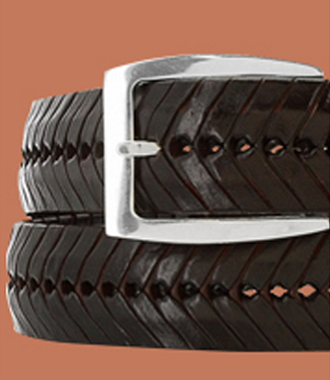 A well-made belt crafted from premium materials will last longer and perform better by far than will one that is cheap or flimsy. 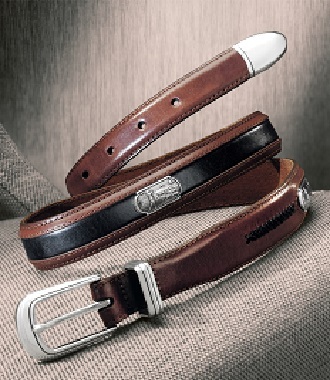 Brighton is pleased to offer an extensive selection of men's belts that have been thoughtfully designed and exquisitely crafted. 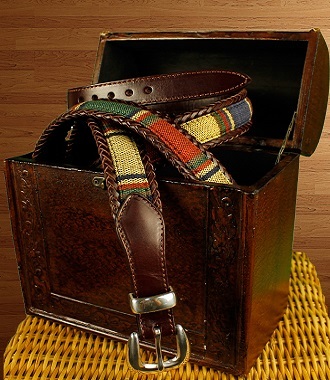 Their selection ranges from high-quality, luxury leather belts suitable for more formal suits down to casual selections intended for a weekend spent sailing, hiking, golfing, or simply browsing through antique stores with one's spouse or significant other. 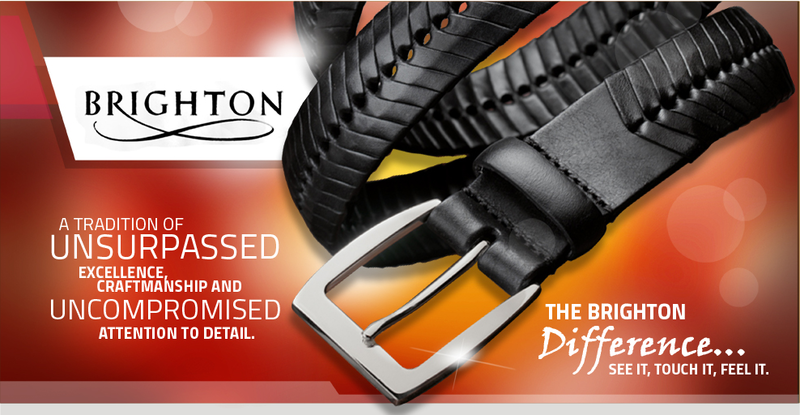 There is a belt in Brighton's collection for every man's every need, handsome belts of superior craftsmanship that are sure to please the most discriminating tastes.